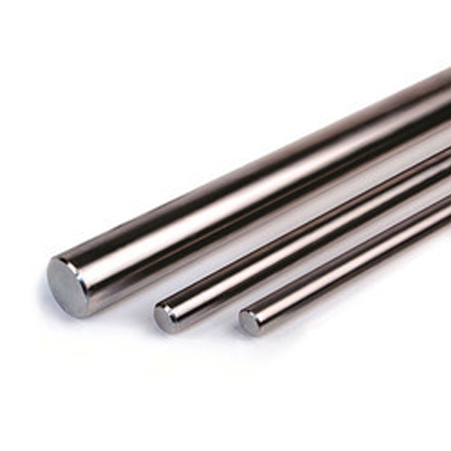 ﻿ Stainless Steel 304 Round Bars, SS 316L Round Bar Manufacturer, Exporter. AMCO metals are the prominent supplier and manufacturer of top quality bars. It offers superior quality bars for most of the engineering operations. 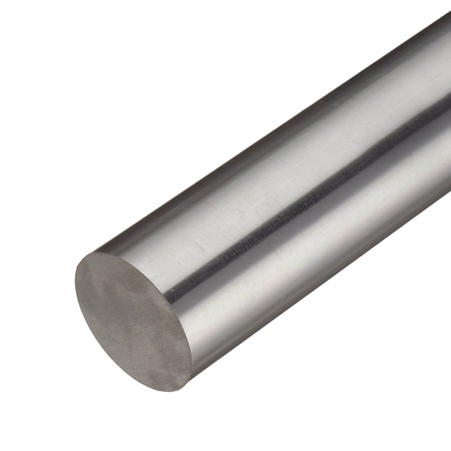 It is a trusted industry provides STAINLESS STEEL ROUND BARS (316L/304/904L/321). Stainless steel bars have the exceptional property of fabrication with low costs; these can be easily machinable and constructed into any complex frames, ideal for heavy architectural application. These oppose buckling and crushing in the effort of impact loads or as well as gradual loadings. Stainless steel bars able to stand in marine environments. Its affinity to bear high temperatures makes it safest option for heating industries. It resists wear and tears around its surface. These bars are manufactured by metal forging process. Harden by different heat treatment process, finishes by BA finish, Matt finish, NO. 4 finish, hairline bright black polish. Diameter ranges up to 100 mm to 500 mm, length varies from 1 meter to 6 meters, and these dimensions are customized according to customer requirements. UNS 30400, UNS S31603, UNS NO8904, UNS S32100 are material grades of these category bars. ASTM 479, AISI A 276, SA 276, A 479, SA 479, A 182 are some common standards while manufacturing these bars. Stainless steel bars are authorizing by many international certifications. 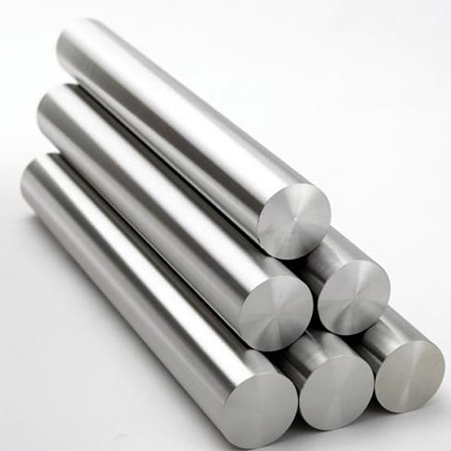 Advancement of technology and machines makes the production of STAINLESS STEEL ROUND BARS (316L/304/904L/321) precise. fabricate bars are inspected by third parties, pack in wooden boxes, AMCO metals offers bars in low expenses you consider these bars for engineering and industrial application. Afghanistan, Ecuador, Hungary, China, Trinidad & Tobago,Tunisia, Spain, Romania, Singapore, Russia, Croatia, Sri Lanka, United Arab Emirates, Kazakhstan, Iran, Ghana, Jordan, United Kingdom, New Zealand, Mongolia, South Korea, Bahrain, Kenya, Lebanon, Gambia, Sweden, Brazil, Namibia, Finland, Belgium, Mexico, Saudi Arabia, Indonesia, India, Zimbabwe, Iran, Bulgaria, Iraq, Belarus, Gabon, Costa Rica, Netherlands, Serbia, Chile, Mexico, Tibet, Nigeria, Ireland, Argentina, Morocco, South Africa, Vietnam, Chile, Italy, Philippines, Algeria, Australia, Poland, Macau, Turkey, Oman, France, Bangladesh, Azerbaijan, Austria, Pakistan, Slovakia, Colombia, Libya, Venezuela, Puerto Rico, Angola, Kuwait, Germany, Czech Republic, Malaysia, Japan, Poland, Taiwan, Norway, Canada, Portugal, Thailand, Switzerland, Nepal., Greece, Peru, Nigeria, Hong Kong, Israel, Denmark, Lithuania, Qatar, Ukraine, Estonia, Bhutan, Yemen, Egypt, Bolivia, United States. New York, Granada, Ranchi, Edmonton, Busan, Algiers, Seoul, Jeddah, Rajkot, Kanpur, Muscat, Courbevoie, Kolkata, Rio de Janeiro, London, Ludhiana, Caracas, Vung Tau, Coimbatore, Nagpur, Indore, Cairo, Kuala Lumpur, Brisbane, Perth, Gimhae-si, Noida, Dammam, Melbourne, Karachi, Jamshedpur, La Victoria, Doha, Chandigarh, Madrid, Dallas, Colombo, New Delhi, Geoje-si, Tehran, Ankara, Kuwait City, Bhopal, Toronto, Al Jubail, Ahvaz, Visakhapatnam, Chennai, Sharjah, Mexico City, Chiyoda, Milan, Los Angeles, Sydney, Port-of-Spain, Montreal, Nashik, Haryana, Ahmedabad, Baroda, Thane, Hanoi, Abu Dhabi, Aberdeen, Lahore, Navi Mumbai, Calgary, Faridabad, Riyadh, Jakarta, Atyrau, Petaling Jaya, Pune, Ho Chi Minh City, Lagos, Howrah, Gurgaon, Ernakulam, Bangkok, Secunderabad, Moscow, Al Khobar, Dubai, Vadodara, Houston, Manama, Surat, Pimpri-Chinchwad, Hyderabad, Bengaluru, Singapore, Hong Kong, Jaipur, Mumbai, Istanbul, Bogota, Santiago, Thiruvananthapuram, Ulsan.